Designed to work in large and busy warehouses, Merlin’s Warehouse Management modules gives you the ability to seamlessly manage and control your warehouse and stock. Available for Handheld Terminal (HHT) devices, there are two modules available, HHT Auto Stock Checking and HHT Goods Despatch and Receipt. Available on both Android™ and Microsoft Windows Mobile operating devices, the choice is yours to select the most suitable devices for your existing IT strategy and budget. Merlin is compliant with barcode standards and supports all popular barcodes including Code 128 & Code 39. 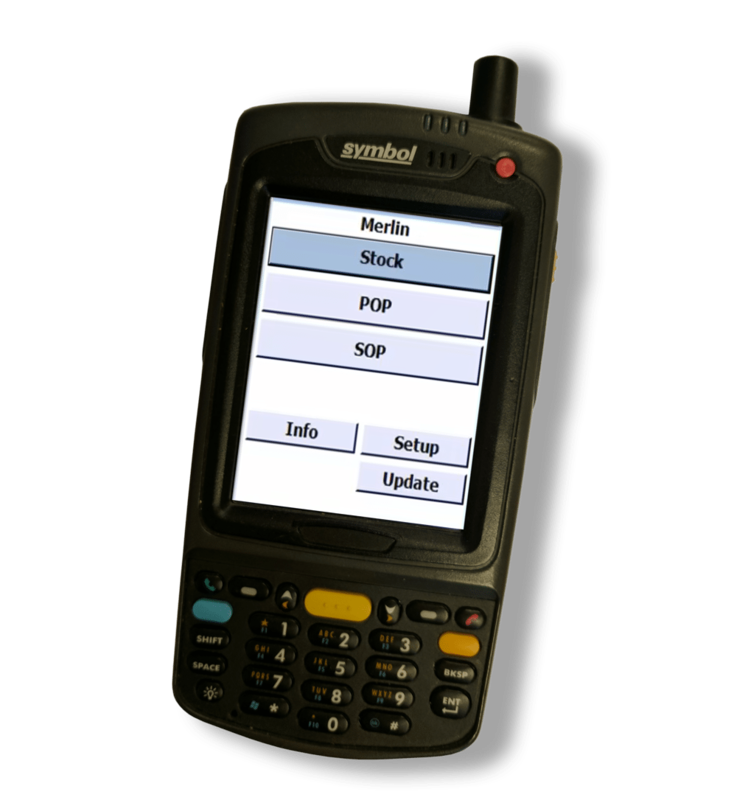 As standard Merlin works with all modern barcode scanner devices and enhances order processing from taking orders over the counter, allowing you to serve more customers quickly, checking the accuracy of picking in the warehouse prior to packing and despatch. Corded and cordless scanners as well as fixed location scanners can be integrated with your existing processes. Make your stock taking more efficient with the HHT for Auto Stock Checking. No longer will there be a need to manually input the data after a stock check, with this module, simply scan and input the new figures there and then. You can even use the Merlin Snapshot function, to run multiple stock takes independently, and at the same time. This allows for the warehouse team to be assigned sections of the stock take, allowing counts to be updated separately and as and when they complete. When despatching goods, the HHT for Goods Despatch and Receipt enables the most efficient route for order picking based upon bin locations, whilst ensuring that all pick errors can be identified immediately, and rectified at the time. You are also able to pick by batch and/or multi-bin locations, enabling full traceability and supporting a first-in-first-out (FIFO) business process. Use the same tools for booking goods in, and improve the speed and accuracy that can come with it. Book items into stock, wherever you are in the warehouse, or in the yard, no need for duplicating the figures and taking it back to the office. 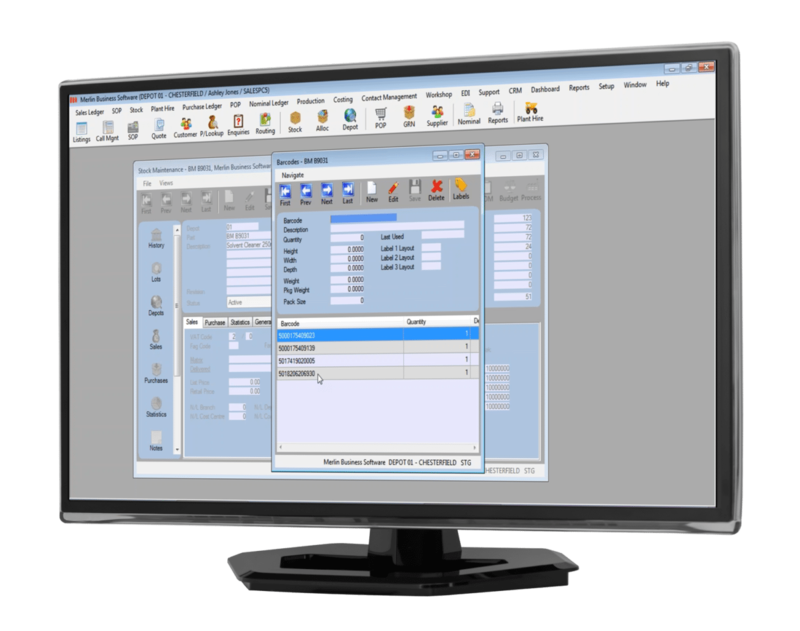 Have up-to-date stock figures thanks to the HHT for Goods Despatch and Receipt module. Quickly identify the originating Purchase Order and receipt in every line quickly by scanning the products’ barcodes or use the keypad where necessary. 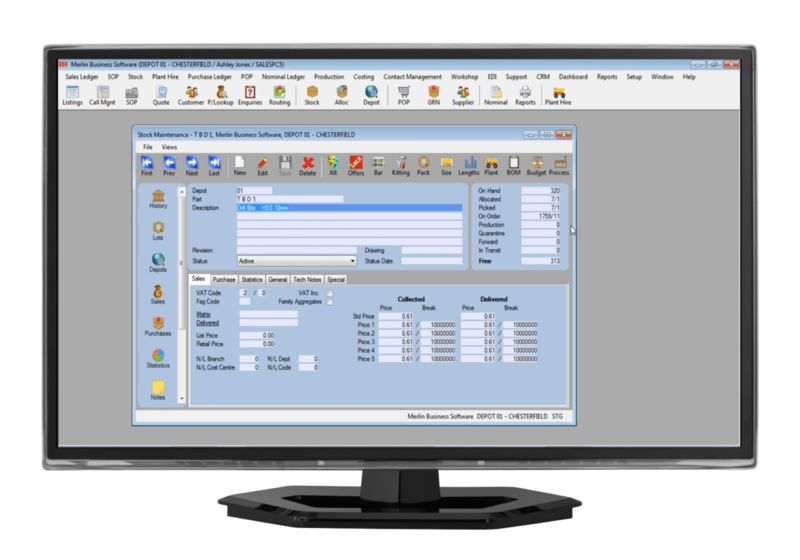 You are also able to immediately identify any under or over shipments, with the Merlin system being dynamically updated, no need to dock the device to upload the data. With so many products in stock, the snapshot allows the warehouse staff to carry out the stocktake, without putting pressure on the office staff of updating the computer system on the same day as the physical count…This means at any point we have downtime in the warehouse, there is always the option of stocktaking a shelf, so this is improving our productivity all of the time.